Whenever I am in the presence of big old trees, I can’t help but think about all that has transpired beneath those branches. 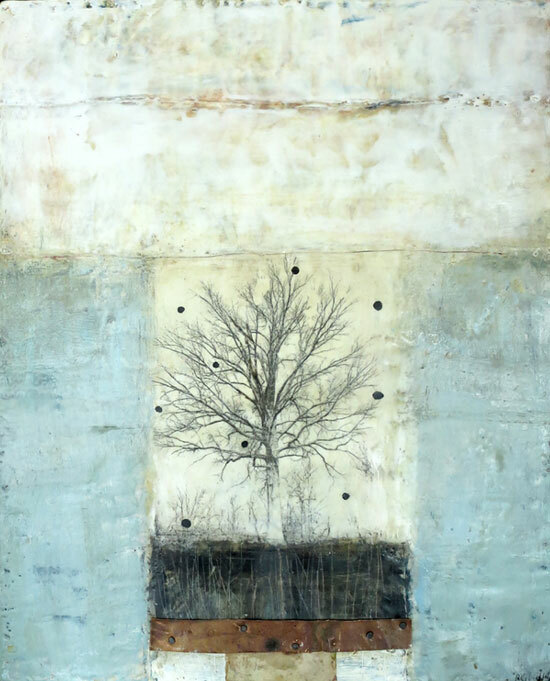 The tree that inspired this painting in particular is a big old tree down in D.C. There were children playing around it, a woman sunbathing and reading a book, a young couple having a picnic. This scene has probably played out over and over in different iterations through the past century. And the only thing that remained steadfast was this tree. I thought about how that tree was firmly planted in the past, the present and the future. Even when it will eventually die and have to be cut down, its root system will still remain and nourish the soil and future trees. I would never say that I am an “energy reader” but I am sensitive to the energies that people put out and even energies that remain in a place. I can’t help but wonder about the energies that exist around old trees. This painting is currently in the Collected and Gathered exhibit at Lark and Key Gallery in Charlotte, NC. Opening reception is Friday, August 3rd.